Providing an Employee Wellness program for your staff is an excellent way to invest in your company that yields return on an individual and corporate level. Builds internal office relationships and teamwork. 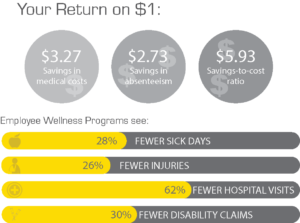 Up to 25% reduction of employee absenteeism due to health related issues and 32% less workers compensation expenses. Sun Oaks offers services that meet the needs of your employees and their entire families. We are more than just a gym, we are a community where you can get recharged and stay healthy. We provide services to meet the needs of anyone interested in group fitness, strength training, swimming, athletic performance, tennis and more! Sun Oaks is able to help you no matter what season of life you are in and we will help you prepare for the next one too. Annual agreement for employee, or the employee and their family. 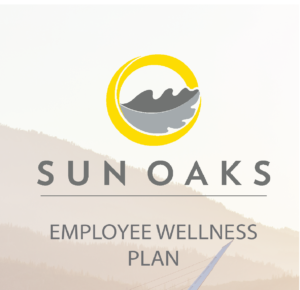 The Sun Oaks Employee Wellness Plan can be built to the employer’s specifications. Most of our partners choose our 20/30 plan. Employer pays entire membership cost. Employer pays set amount toward membership cost. Employer pays a percentage of membership cost.